Hawaiian Airlines marked an important cultural milestone as Hawai‘i’s airline by establishing an ‘ōlelo Hawai‘i (Hawaiian language) certification program for employees on Monday, Feb. 11, 2019. Launched in time to celebrate ‘ōlelo Hawai‘i Month, the certification, which is available at no cost to any of Hawaiian’s 7,200-plus employees, broadens the carrier’s commitment to honor and perpetuate Hawai‘i’s rich culture throughout its operations. In April 2018, Hawaiian tested ‘ōlelo Hawai‘i on four flights between Honolulu and Hilo at the start of the annual Merrie Monarch Festival. ‘Ōlelo Hawai‘i flights are an extension of the airline’s commitment to honor and share our Islands’ unique culture with guests visiting Hawai‘i. (L-R) Hawaiian Airlines Flight Attendants Kainoa McGill, Kamyl Burrows and Punahele Kealanahele-Querubin. Courtesy photo. The airline developed the certification program in consultation with numerous Hawaiian language experts, including Dr. Larry Kimura, who is considered the grandfather of Hawaiian language revitalization, and Dr. Leilani Basham, a professor at the University of Hawai‘i – West O‘ahu who is renowned for perpetuating Hawaiian culture in academia. To be eligible, employees must be existing speakers and demonstrate advanced proficiency through an oral and reading exam. Those qualified are recognized with the Hae Hawai‘i (Hawai‘i’s state flag) imprinted on their nametag, placing ‘ōlelo Hawai‘i speakers alongside colleagues at the company who are fluent in a variety of languages, including French, Japanese, Korean and Samoan. The program was spearheaded by team members within Hawaiian’s In-Flight Services department, which currently has 13 certified speakers. As more ‘ōlelo speakers are certified, they will help Hawaiian advance the language’s use throughout its operations, workplace and during interactions with guests. The ‘ōlelo Hawai‘i certification joins a host of cultural initiatives at Hawaiian, such as offering complimentary, introductory Hawaiian language and hula lessons to employees, giving its aircraft Hawaiian names, and celebrating new routes and special events with Hawaiian blessings. Last week, the airline unveiled a Hawaiian Culture Resource Center at its Honolulu headquarters, where employees and visitors may explore Hawai‘i’s culture, language, geography and history via Native Hawaiian books, artwork, lauhala (woven leaf) mats and baskets, and instruments being showcased through March. 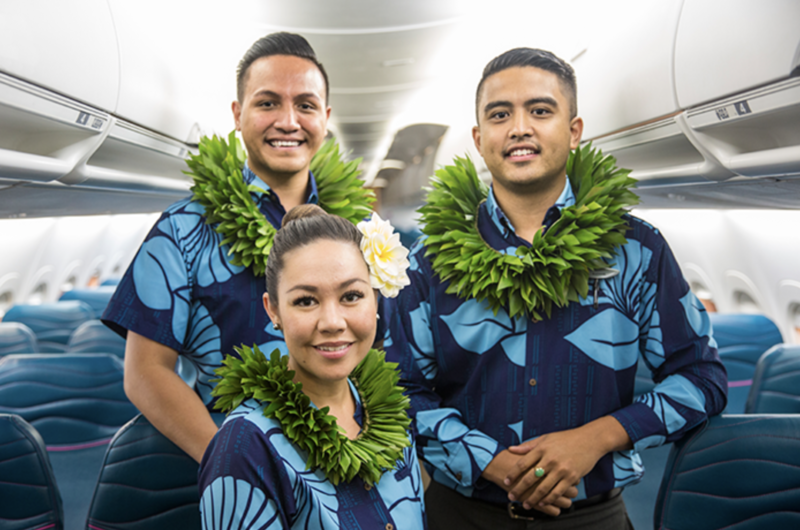 Throughout its 90 years of service as Hawai‘i’s airline, Hawaiian has been dedicated to sharing authentic and immersive experiences with its guests, from its Mea Ho‘okipa (I am host) warm hospitality to its series of ‘ōlelo Hawai‘i flights. Last year, Hawaiian operated seven flights where crewmembers incorporated Hawaiian language into their standard boarding and in-flight announcements: four flights between Honolulu’s Daniel K. Inouye International Airport (HNL) and Hilo International Airport, and two flights between HNL and McCarran International Airport in Las Vegas. In December, Hawaiian operated its first international Hawaiian language flight from Haneda International Airport (HND) in Japan to Kona International Airport (KOA) to celebrate the route’s second anniversary. ‘Ōlelo Hawai‘i was banned in Hawai‘i’s classrooms in 1896, three years after the overthrow of the Hawaiian Kingdom. In the 1970’s, a group of passionate college students, including Dr. Kimura, and the last fluent Hawaiian-speaking elders came together to bring back the language. Their persistent efforts at the Hawai‘i State Legislature eventually led to the creation of the Hawaiian language revitalization movement. 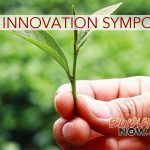 Since then, Hawaiian language has joined English as the state’s designated official languages, and is studied and spoken by students in schools and universities statewide as it regains its place in everyday business and life in Hawai‘i.